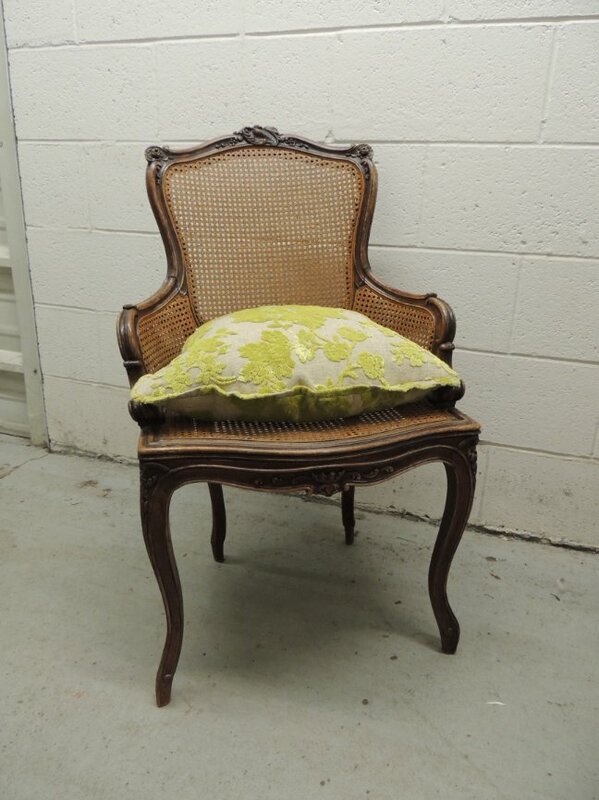 Imported French antique chair with a caned seating and upper back. Complete with a custom cushion in green flopped velvet. 19"W x 16"D x 32"H- Seat Height 17"